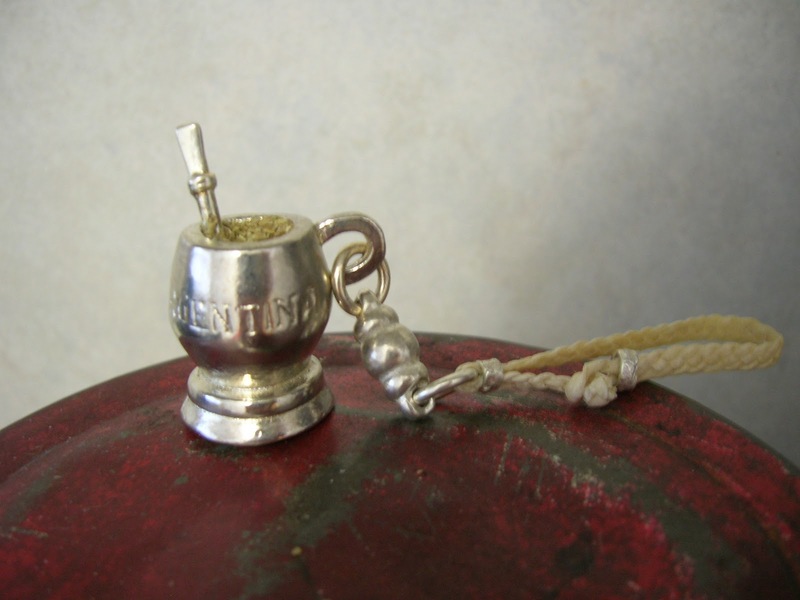 I'm running out of time but wanted to mention a few other uniquely Argentine gifts. If you've ever been to Argentina you probably recognize the bottle of Fernet Branca above. This tiny version was found at a wine store and will be much easier to lug home than a full bottle but it still gives the recipient the full Argentine experience. Read more about Fernet here. If you want to give a mate to someone who won't actually drink it, how about a keychain from Raices instead? And finally, I've mentioned Inti Zen tea before, but it's worth a reminder. The variety box gives you 8 blends including yerba mate and dulce de leche. Happy Holidays from Argentina! Fernet Branca was something I did not know about before living in Argentina. I think it is definately a lot better than the other Fernet brands that I have tried. It's worth the extra cash. I still want to try the mint version.